A consortium of European pro-Palestine institutions and activists on Saturday called for the need to stand up for Palestinians’ rights, stop Israeli illegal settlement, prosecute Israeli war criminals, and lift the Gaza siege. Addressing a large audience at the European al-Wafaa Conference for the Relief of Gaza, held in the Dutch city of Rotterdam, professor of political science at the University of Amsterdam, Ana Tung, urged the pro-Palestine activists and politicians based in the Netherlands to immediately step in so as to make sure Israel’s terrorism against Palestinians would not re-occur in any form. Having personally been to Gaza a few years ago, Tung said the situation in Palestine needs serious efforts to work out the tragic state of affairs. Fridz Idlingz, in charge of the Arab-Austrian Relations Committee, raised alarm bells over the countless hindrances lying ahead of the Gaza reconstruction process particularly Israel’s potential infringement of ceasefire accords during the reconstruction or post-reconstruction phases. Danish activist Tomi Nelson said the very meaning of a peace process can only see the day when Palestinians restore their rights and freedoms and when the notorious Gaza siege and the Israeli illegal settlement expansion are brought to a standstill. Jewish-French activist Olivia Zemor drew attention to the need to step up pressure on the Israeli occupation via the so-called Boycott-of-Israel campaigns and the crossing out of all cooperation accords with Israel. Two Danish female participants, speaking on behalf of a pro-Palestine organization based in Denmark, said they received pledges to donate 15 ambulances and called for urgent intervention to ensure the package be dispatched to the Gaza Strip as soon as possible. 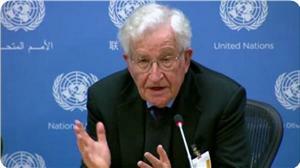 The prominent American linguist and philosopher Noam Chomsky warned, during a special meeting staged by the UN Committee on the Exercise of the Inalienable rights of the Palestinian people, that the Israeli occupation would continue to tear up the Occupied West Bank and transform it into cantons as long as the U.S. provides it with the necessary back-up. More than 130 countries recognize the state of Palestine when they took the step in the General Assembly in November 2012, Chomsky said, pointing to the Swedish and British parliaments that had recently voted in favor of doing the same. On what the United States should do, he said that the country should have been called upon by its own citizens to conform to its own laws which barred sending weapons to any military units involved in consistent rights violations. There wasn’t any doubt that the Israeli army was involved in such violations, Chomsky stated as he slammed the United States government for allowing tax-exempt United States organizations to carry out activities in the West Bank. Chomsky hailed the steadfastness of the Palestinian people and reiterated hope that they will ultimately win the battle and regain their rights, just as Vietnamese and South Africans, among other ex-colonized peoples, did not long time ago. 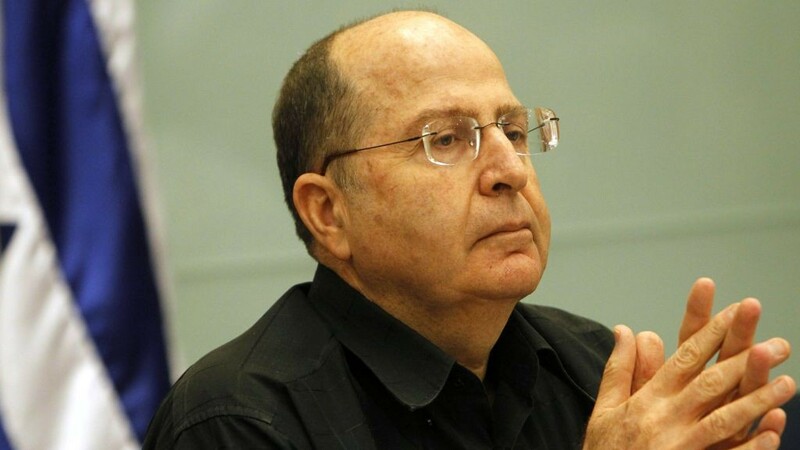 The minister of Israeli occupation army, Moshe Ya'alon stated Wednesday that no Palestinian state will be established in the West Bank, but a disarmed self-governed authority. He explained in an interview with Hebrew newspaper that Israeli occupation keeps full security control over the air and ground of the West Bank, "Israel does not seek a solution with Palestinians, but tries to manage the conflict," he said. 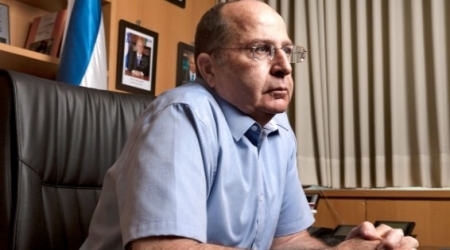 Ya'alon stressed that President Mahmud Abbas is not a partner in peacemaking but a part of conflict management, noting that Abbas did not recognize Israel as a Jewish state. A delegation of Palestinian officials left the West Bank for Jordan, en route to Cairo, early Saturday, to participate in the previously scheduled international donor conference for the Gaza Strip. Additionally, US Secretary of State John Kerry is to call for a revival of the collapsed Israeli-Palestinian peace process, when he attends the conference, on Sunday. "The issue in question is very delicate, and requires all Palestinian efforts in order to support the government so it can rebuild what the (Israeli) occupation has ruined in the Gaza Strip," Ehab Bessaiso, the spokesman for the unity government, was quoted by Ma'an to say. 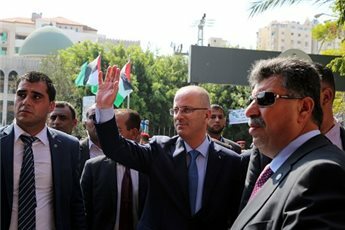 Palestinian Prime Minister Rami Hamdallah, Deputy Prime Minister Muhammad Mustafa, Foreign Minister Riyad al-Maliki, Finance Minister Shukri Bishara, and Minister of Agriculture and Social Affairs Shawqi al-Ayasa are on the delegation team. Gaza-based members of the delegation -- Minister of Public Works Mufid Hasayna and Minister of Labor Mamoun Abu Shahla -- are meeting the group in Egypt, via the Rafah crossing, Bseiso also stated. According to Mr. Bessaiso , who also joined the delegation, the Palestinian Authority had submitted a $4 billion reconstruction plan for the Gaza Strip. "We hope the international community will provide this money," he said, adding that Palestinians also need the international community to guarantee that Israel opens border crossings in Gaza, to allow construction materials into the Strip. Furthermore, the unity government would work "tirelessly" to make that happen, he said. The Israeli assault on Gaza killed nearly 2,200 Palestinians, this summer, the vast majority of whom were civilians, while attacks by Gaza militants killed 73 on the Israeli side, overwhelmingly soldiers. Israel's so-called "Operation Protective Edge" also destroyed or severely damaged some 18,000 houses, leaving 108,000 Palestinians homeless, according to UNOCHA. Meetings with Egyptian officials are set to be held before Sunday's official conference. In related news, US Secretary of State John Kerry will reportedly call for a revival of the collapsed Israeli-Palestinian peace process on Sunday, while attending the international conference, American officials said. Kerry and 30 of his counterparts are to convene in Cairo alongside United Nations Secretary General Ban Ki-moon, who is said to be seeking $1.6 billion in aid to rebuild the region. "You will hear the secretary reaffirm the commitment of the United States to helping the parties achieve a negotiated two-state solution and our willingness to re-engage in the negotiations and help facilitate successful negotiations. "More broadly we are interested in sort of breaking the cycle we have been in in the last six years of war and reconstruction there," an official was quoted by AFP to have said. Direct negotiations began in July of 2013 between Israel and the Palestinians in a US-brokered setting between the two parties. Over the course of the talks, Israeli officials announced their plans to build thousands of additional homes in illegal settlements across the occupied West Bank, inhibiting the flow of the proceedings and sparking global outrage. “I was threatened in Washington: ‘not one brick’ [of settlement construction] … after five years, we built a little more than one brick…” he said, as quoted by +972 online magazine. Asked “about peace talks with the Palestinians,” he reportedly replied, “about the – what?” to which his audience responded with laughter. According to AFP, critics have charged that peace negotiations are used by Israel as a cover for continued settlement building and military occupation, highlighting that the number of settler units under construction increases during negotiations, while violence against Palestinians remains steadfast. 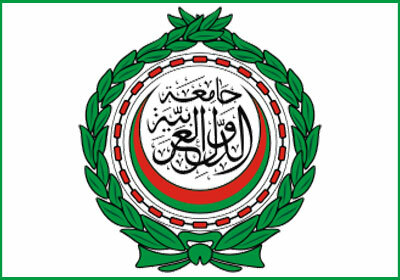 The Arab League reiterated its support to the upcoming Palestinian bid at the United Nations Security Council, demanding ending the Israeli occupation, and called on the United States to refrain from using its veto power to topple the move. Head of the Palestine and Occupied Arab Territories Committee at the Arab League Mohammad Sbeih stated, Wednesday, that Palestine would be heading to the Security Council with full Arab support, based on a previous resolution approved by the Arab League. 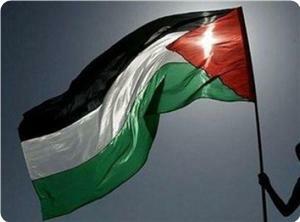 Sbeih added that the Palestinian bid is still being discussed and modified before it is presented in its final stage. Commenting on the US criticism to the recent speech of President Abbas at the UN, Sbeih said the United States is criticizing, and allowing Israeli extremists to slam and attack Abbas, but is not suggesting any positive proposals or initiatives. “We will see the US actions during the vote,” he said. “America has friends and interests in the Middle East; it should act as a fair mediator, with a clear policy." He also stated that Arab countries are asking the United States not to use its veto power at the Security Council, especially since Washington has used its veto 43 times against resolutions that could have provided protection and liberation to the Palestinians. Sbeih further stated that the United States should take a positive stance that every country in the region, including the Israel, would adhere to, a stance which respects International Laws, regulations, and all related resolutions. The Jerusalem City Council started the planning stage for the construction of 2610 units in the illegal Givat Hamatos Jewish settlement, south of occupied East Jerusalem. The Council granted its approval for the construction project in December of 2012, and officially announced the plan via the Israeli media a week ago. It would also be announcing construction bids in local Israeli newspapers. Following the Israeli announcement, a number of European countries denounced the plan, and expressed concern about the Israeli move, as it places more obstacles in front of the ongoing efforts to resume direct peace talks between Israelis and Palestinians. Israeli Army Radio said the timing of the plan is very problematic as it was made just before the planned meeting between Israeli Prime Minister Benjamin Netanyahu and U.S. President Barack Obama, and amidst European statements, warning that this move affects the outcome of two-state solution talks and the future of Jerusalem. The Jerusalem City Council claimed that the issue here is a matter of “bureaucracy", and “has nothing to do with politics”, adding that the actual construction will not start any time soon, and that “some of the units will be designated for Arabs”. Israel’s settlements in the occupied West Bank and in occupied East Jerusalem are illegal under International Law and the Fourth Geneva Convention. 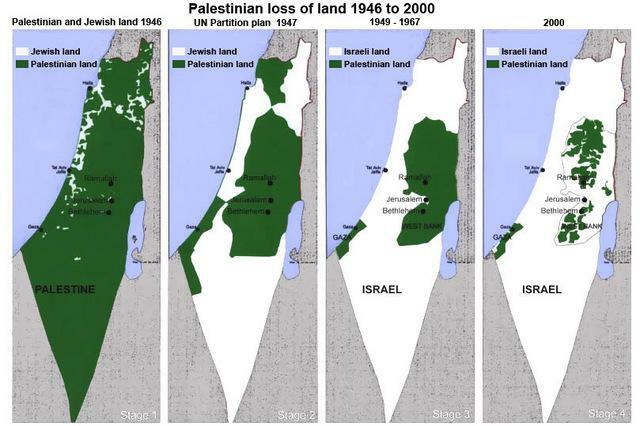 Settlements and the Annexation Wall isolated entire Palestinian communities, led to significant losses of agricultural lands and orchards, while large areas of lands, still owned by the Palestinians are now isolated behind the Wall. Back in May of this year, Israeli “Construction and Housing” Minister Uri Ariel of the extremist Jewish Home party, member of the coalition government, said settler population in the West Bank and Jerusalem will witnesses a significant increase. According to Ariel, the number of settlers in the West Bank is now around 400.000, but this number would jump to 550.000 or even 600.000. Moon voiced deep concern at continued Israeli settlement activity at the expense of Palestinians’ occupied territories and reiterated that a political horizon must be restored without further procrastination. A return to the status quo is not an option, UN Secretary General further stated as he stressed the urgent need to address the underlying causes of the crisis. He welcomed the tripartite agreement between the government of Israel, the Palestinian Authority and the United Nations on the secure entry of reconstruction materials into Gaza and hoped for its swift implementation. UN Middle East Envoy, Robert Serry, announced in mid September that the PA, UN, and Israel had struck a deal on the reconstruction of the Gaza Strip, enabling the PA to take a leading role in the reconstruction process and the UN to monitor the construction materials. Israel has tightened military air and sea grips on Gaza ever since Hamas swept Palestinian legislative elections in January 2006 and won a landslide victory. The siege had grown even tougher despite the fact that Hamas stepped down from Gaza government and made concessions to beef up the unity government formed in June. The situation has remarkably gone downhill in the wake of the notorious 51-day Israeli offensive that rocked the blockaded enclave. At least 2159 Palestinians, mostly innocent children and women, were mass-murdered while 11,000 others sustained critical wounds in the process. 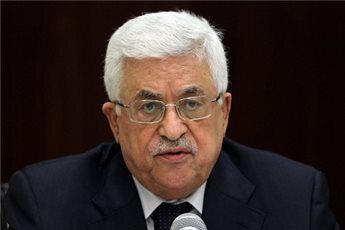 Palestinian President Mahmoud Abbas said that the Palestinian Authority would go ahead with its plan to join the International Criminal Court, should the Palestinian UN Security Council bid for setting a time frame for ending the Israeli occupation fail, or be vetoed by the United States. 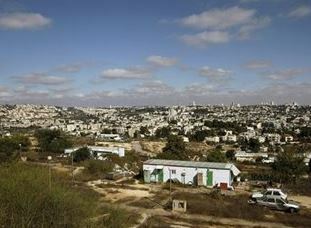 Abbas made his statement during a meeting with reporters and writers at his Ramallah office, in the central West Bank. Abbas further said that the Palestinian Authority wants to resume direct peace talks with Tel Aviv, but this cannot happen before having a clear and internationally recognized agenda for setting the borders of the future state, and setting a clear time frame for peace talks. He added that the P.A needs three weeks to present the proposal to the UN Security Council, and that the bid needs nine votes to pass, and affirmed that Palestinians realize the fact the United States will veto the resolution. He also stated that a failure in the Security Council would lead the P.A to reexamine its relations with Tel Aviv, including the security coordination in the West Bank, adding that more Palestinian voices are demanding an end to this coordination. However, the President said the P.A will not allow armed clashes with Israel, and stated “we will not allow the firing of even one bullet, we have a political front to battle; it is even more difficult and more important." 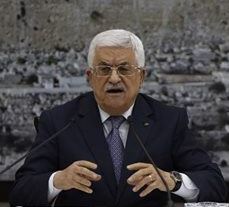 Abbas also said that the current relation with the White House is tense, and described the latest American statements regarding his speech at the UN last Friday as “funny." The Hamas Movement strongly condemned on Monday evening Israeli Prime Minister Benyamin Netanyahu’s remarks in which he said that Hamas and the Islamic State group are two sides of the same coin. 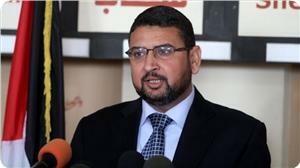 Hamas is a national liberation movement, its spokesman Sami Abu Zuhri stressed. Responding to Netanyahu’s remarks about Hamas at the UN General Assembly, spokesman Abu Zuhri described Israel as the root of all evil and the world's greatest terrorist threat, affirming that Israel's terrorism is a coin with one side alone. The spokesman categorically denied his Movement’s use of Palestinian civilians as human shields, saying that these Israeli allegations are intended to justify the killing of more than 500 Palestinian children during the recent Israeli aggression on Gaza. 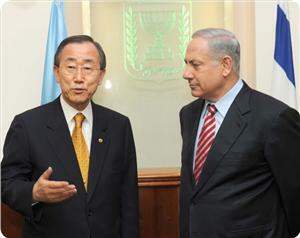 He asserted that the picture presented by Netanyahu during his speech at the general assembly was fake and fabricated. Israeli’s war crimes cannot be forgotten by a meaningless speech, Abu Zuhri said, pointing to Netanyahu’s rejection to allow an international committee to investigate Israel’s war crimes in Gaza. 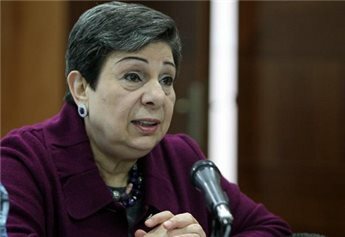 Executive PLO member Dr. Hanan Ashrawi responded to Israeli PM Benjamin Netanyahu's recent UN address by saying that he blatantly manipulated the facts in comparing Hamas with the "Islamic State" terrorist group, according to Ma'an. "Netanyahu's speech at the UN was a blatant manipulation of facts and attempted at misleading the audience through a combination of hate language, slander, and argument of obfuscation," Ashrawi said in a UN speech, on Monday. 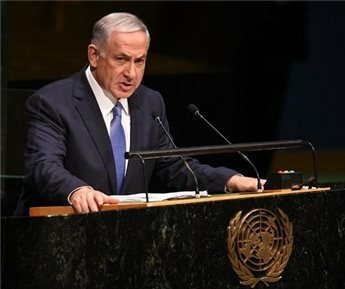 Addressing the UN General Assembly earlier, Netanyahu denied mass allegations of Israeli war crimes committed during its July-August offensive on the Gaza Strip that saw the death of some 2,140 Palestinians, mostly civilians, and left the enclave in ruins. Alternately, Ma'an News Agency further reports that chief PLO negotiator Saed Erekat likened Benjamin Netanyahu to the leader of the Islamic State group, after the Israeli prime minister compared Hamas to the organization. "Netanyahu is trying to disseminate fear of the Islamic State led by Abu Bakr al-Baghdadi, but Netanyahu forgets that he himself leads the Jewish state," said Erekat on Tuesday. "He wants us to call Israel the Jewish state and supports terrorist settlers who kill, destroy and burn mosques and churches... like Baghdadi's men kill and terrorize," Erekat told AFP. In his speech at the UN, "Netanyahu finally closed the door on progress towards a two-state solution within the 1967 borders and rejected any serious political solution" in the peace talks, Erekat further stated. Talks between Israelis and Palestinians collapsed in April amid bitter recriminations on both sides. Delegates plan to meet again in Cairo, next month, for negotiations on a proposed long-term truce following the recent conflict in the Gaza Strip. Israeli Prime Minister Benjamin Netanyahu condemned the United Nations Human Rights Council for its refusal to accept Israel's actions in the Gaza Strip, on Monday, saying that it encouraged resistance fighters to use human shields as a war tactic. He asserted that speaking out against Israeli attacks on Gaza sends "a message to terrorists everywhere: use children as human shields", in an address to the UN General Assembly in New York, according to Ynet. "The UNHRC has betrayed its noble mission to protect the innocent. The Human Rights Council has become the Terrorist Rights Council," he added. Ma'an reports that Netanyahu also slammed Palestinian President Mahmoud Abbas' speech before the Assembly, in which he accused Israeli forces of "genocide" during the recent 50-day offensive on Gaza. Meanwhile, Gaza resistance killed a comparitive 73 people on the Israeli side, most of whom were soldiers. "We did not deliberately target civilians in Gaza and we regret every civilian casualty," he said. "Our soldiers uphold the highest moral values of any army in the world -- they should be admired not condemned." -- Editor's note: Nearly 80% of all those killed in Gaza this summer -- some 2,137 according to Ministry of Health statistics -- were civilians. Nearly 600 of these victims were children, with many of the survivors now facing lifelong injuries and other health crises, including permanent disfigurement. Approximately 11,000 people were injured, in all, many severely so. The PM further accused Palestinian armed resistance in Gaza of using civilians as human shields, the Israeli army's near-daily narrative which echoed across mainstream media outlets during the assault. Netanyahu also accused Palestinian political faction Hamas of being similar to the so-called "Islamic State" group which has seized territory in Iraq and Syria, even in light of recent alternative news footage which clearly shows Takfiri terrorists being hosted by Israeli forces in the Golan Heights. "Hamas' immediate goal is to destroy Israel but has a wider goal the same as ISIS," he said. Hamas officials, including senior leader Khaled Mashal, have repeatedly rejected the comparison, insisting that the armed struggle is against the illegal Israeli occupation of Palestine. Further note: Palestinians have no official military to speak of, outside of PA security teams which are heavily coordinated with Israeli security. Default Hamas rockets are not even equipped with guidance systems and basically consist of hollow tubes stuffed with dynamite, with the majority of reports on Hamas attacks describing projectiles which fall into unpopulated areas of the Negev.